The camera's 8 invisible infrared LEDs show you what is happening up to 12ft away in complete darkness. "Invisible" LED night vision lights do not cast that distracting red glow. You can monitor your room discretely in the dark without drawing attention to your camera. ClearVu® technology provides you the outstanding precision and clarity of a digital signal from up to 750ft away. Unlike some monitors that operate on analog frequency signals, this wireless security system has a private, interference-free digital signal that no one but you can access. Use the two-way talk intercom to conveniently speak to children, pets, staff or visitors at the touch of a button. You will be able to see and hear the person you are speaking to up to 750ft away, and speak to them too. Just think of how much more you will be able to get done with this system at your fingertips! Mount your camera to the wall for a handy bird's-eye view. Each camera can be adjusted 240° horizontally and 65° vertically so, no matter where you need to install this wireless system you will easily be able to focus on the area you want to see most. 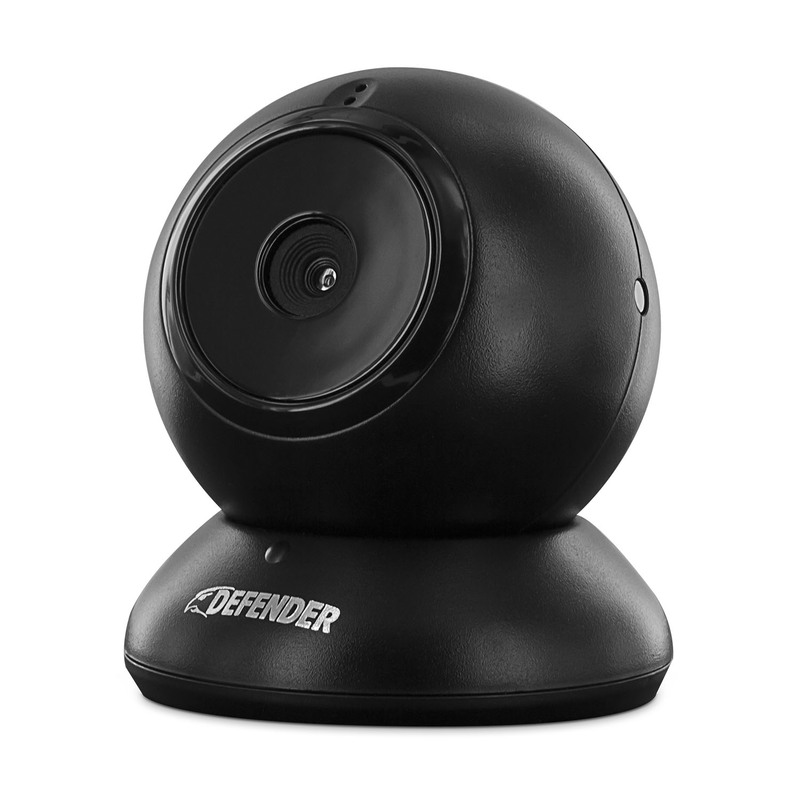 Add up to four cameras and conveniently view up to four areas from your handheld monitor.